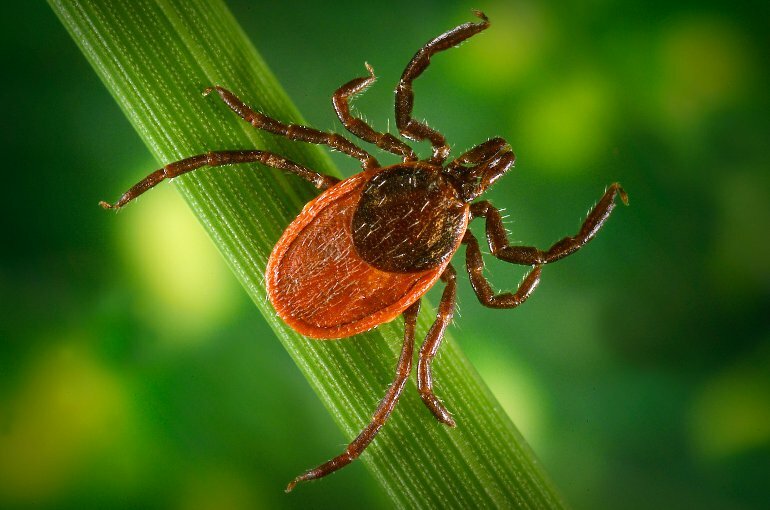 Ticks can be carriers of the bacteria (Borrelia burgdorferi) that cause Lyme Disease. There's nothing particularly different about the town which gives its namesake to a disease carried by ticks, it just happens to be where a cluster of people with juvenile rheumatoid arthritis-like symptoms were investigated in the 1970s. It remains close to the epicenter of cases today. Humans can influence the prevalence of Lyme Disease. The short of it is that deforestation and fragmenting ecosystems by humans can decrese populations of certain predators that feed on mice. When mice are not killed by predators theirs numbers increase. Mice transmit Lyme disease to ticks easily so more mice means more Lyme disease in more ticks. Humans can be bitten by ticks in a variety of areas but the likelihood of getting bitten by an infected tick increases if there is more Lyme disease in more ticks. It plays out like this: Fragmented ecosystem = Fewer predators = More mice = More ticks with Lyme Disease = More humans with Lyme Disease. NPR audio about an expected rise in Lyme Disease cases (3/6/2017).